Does My Aggressive Parakeet Need a Companion? Companionship could ease your parakeet's aggressive behaviors. 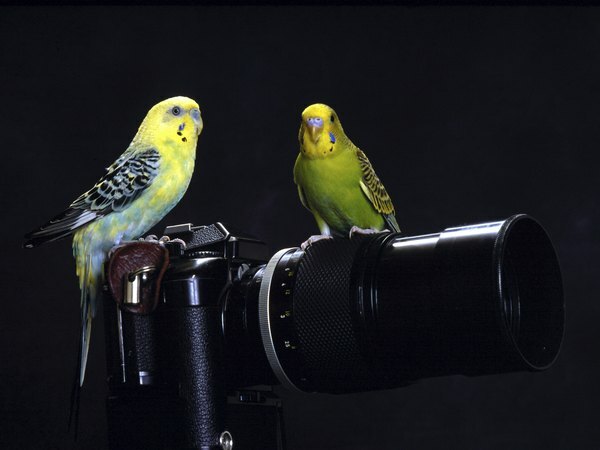 Parakeets may be tiny birds, but they have huge personalities. An aggressive parakeet will puff up his feathers, charge and bite even the most cautious owner. If you're struggling to help your fiery parakeet calm down, you might consider getting him a companion. Loneliness can definitely be the source of a parakeet's aggression, but there are many other causes of aggression. Your parakeet might be territorial -- so bringing a new bird into his space if you think he's acting out because of loneliness might only agitate him further. Other parakeets spent months in a pet shop surrounded by birds, so they aren't used to humans. Such birds generally benefit from a companion, but beware. You may end up with two birds who are calm around each other and nippy around everyone else. If you decide to get your aggressive existing parakeet a companion, proceed with caution. Your aggressive parakeet may attack his new potential friend. First, get your vet to look over your new bird, then quarantine it for two weeks in a separate room of your house from the other bird. Move the new bird into sight of the existing parakeet, keeping them in separate cages in the same room before officially introducing them. Once the parakeets are used to seeing each other, let them out of the cages to play in the same area. Only after you're sure they won't hurt each other should you place them in the same cage. Parakeets enjoy having constant companions, so your existing bird should bond strongly with the newer parakeet. This could make your parakeet less interested in you, less likely to talk and less socially adjusted to humans. You can remedy this by spending one-on-one time with both parakeets. If you don't want your parakeets to be afraid of and aggressive toward humans, you need to spend time with them on a regular basis. If you decide that your aggressive bird doesn't need a parakeet companion, you'll have to take on the companion role yourself. Wild parakeets live in flocks and socialize constantly, so you need to make sure you spend a lot of time with your parakeet. He'll bond with you over time. Also be sure that he's getting enough time out of his cage to play and exercise. 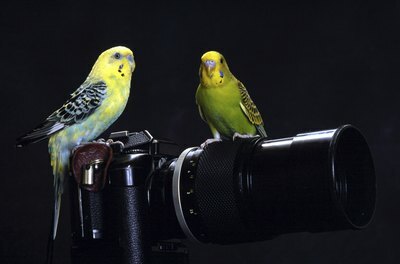 Boredom isn't good for birds as smart and energetic as parakeets. June Mebei is a Virginia-based writer who earned her B.A. in English at Georgia State University. She began writing professionally in 2008, and has published narrative essays, editorial articles, short stories and poetry. What Does It Mean When Your Parakeet Chirps a Lot? Can You Train Your Parakeet to Perch on Your Finger With Unclipped Wings? What Is a Lineolated Parakeet?